We are currently holding a 50/50 raffle. 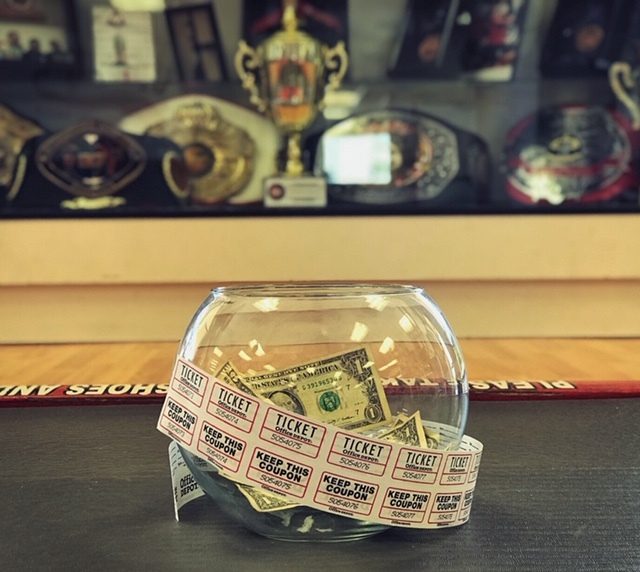 Half of the “pot” goes to the winner, the other half goes towards the Sitan Booster Club which in turn supports the costs of travel and competition for our youth and adult fighters. $1.00 per ticket OR $20.00 for 25 tickets. The drawing will be held at our 14th Year Anniversary on Saturday, 10/20/18. Tickets are available in the office, good luck!